This is one from the early days for me. 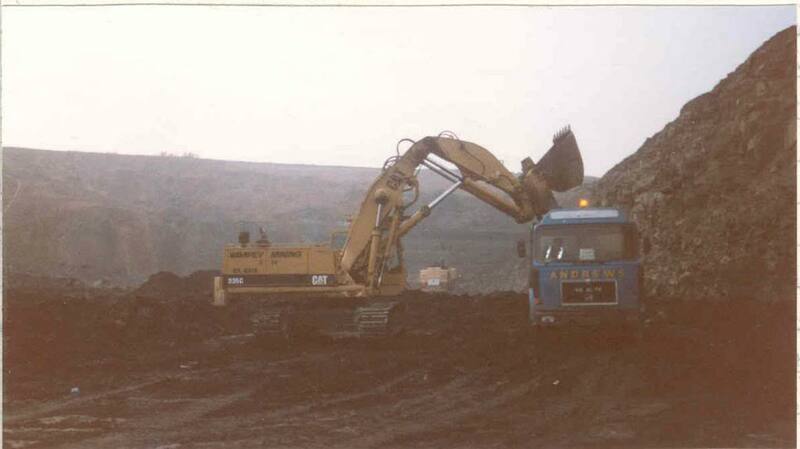 the site was worked from 1993 until 2000 and was the last opencast site working the south staffordshire coalfield. 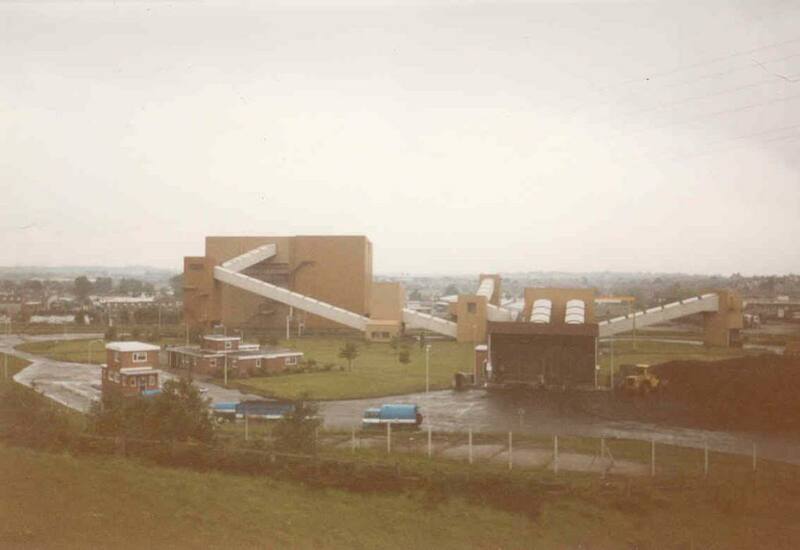 the period of preparation before production begun was extensive as planning permission was original sought in the early 1980s and was also for a much bigger site, this never came to pass. 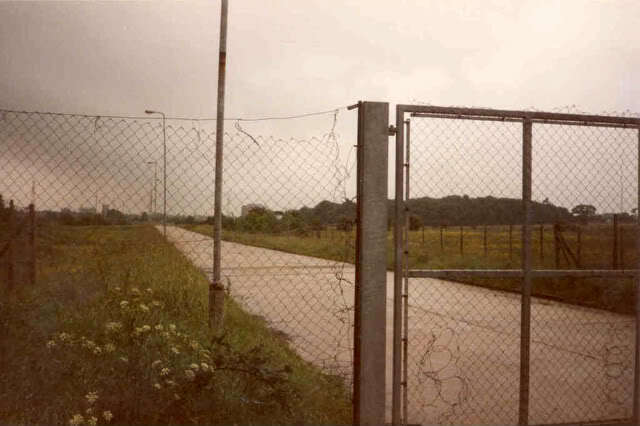 the drive down this road was the most fun i had ever had in a landrover 110 defender at that point in my life. 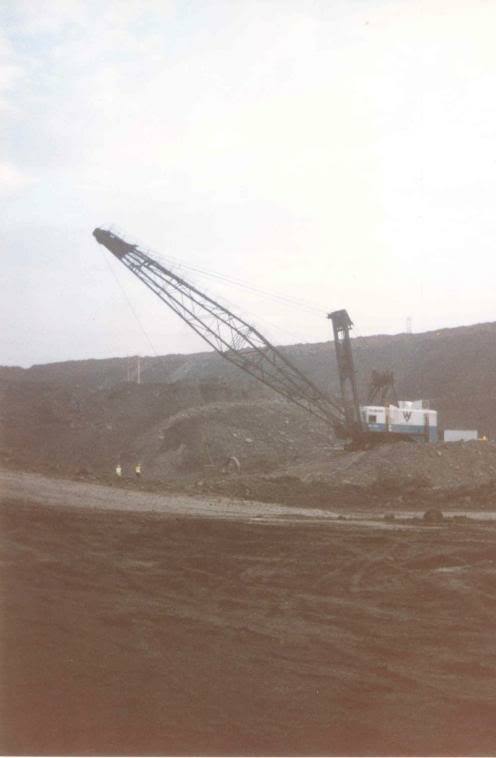 the coal came to the mid cannock coal disposal point for cleaning and grading.this coal disposal point was built in 1978 on the site of the former mid cannock coal mine which had closed in the early 1970s. 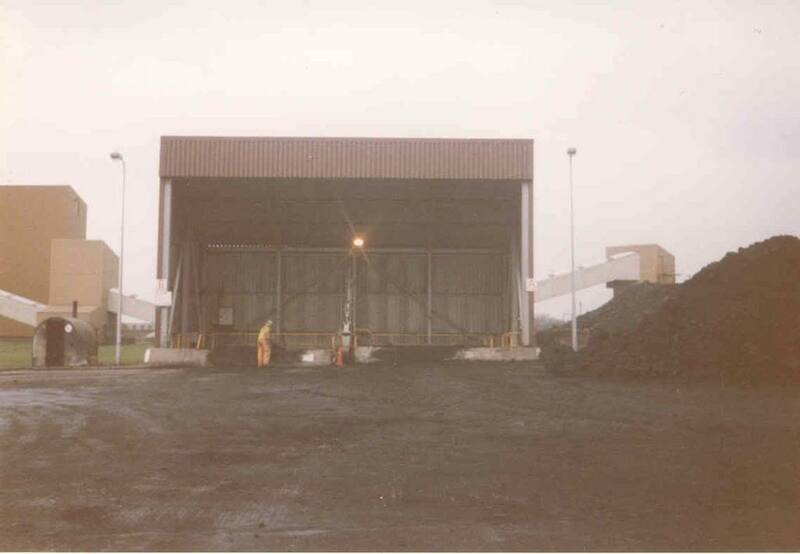 the first coal to be processed came from the kingswood opencast site. 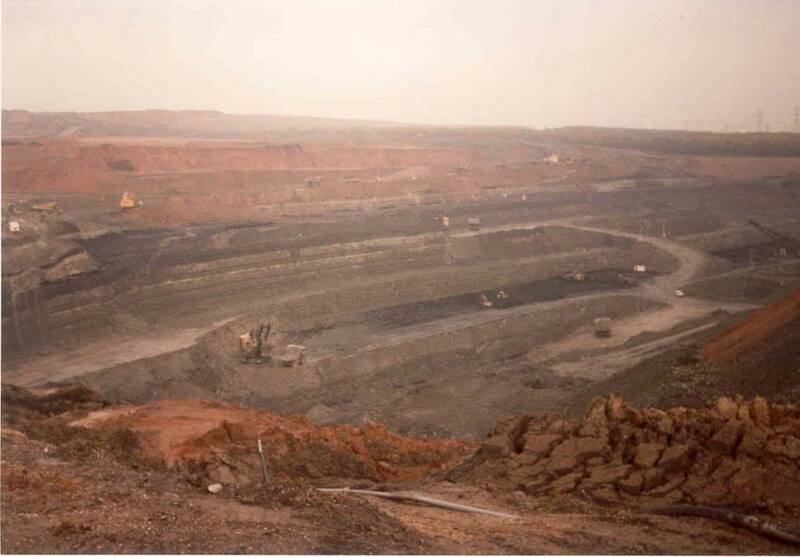 this is the area where the coal would start the cleaning and blending process. 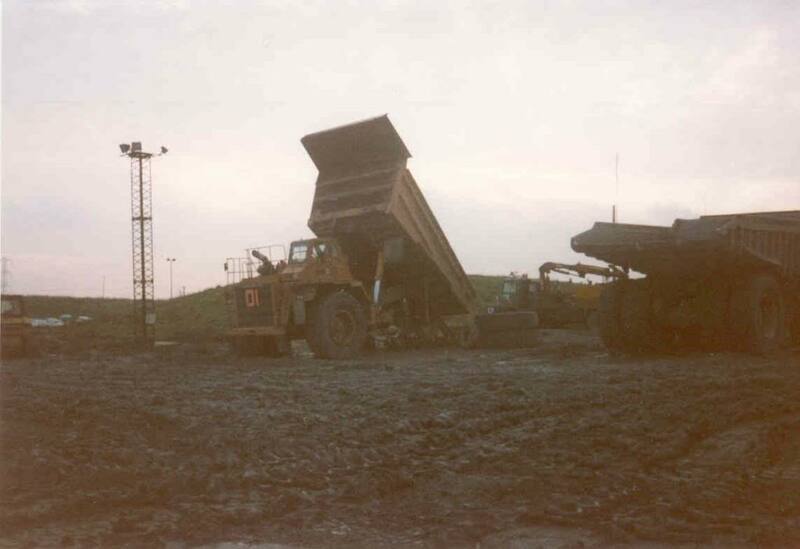 with the tipper truck backing in and dumping its load or if the coal was of poor quality it would head straight for the coal storage area. 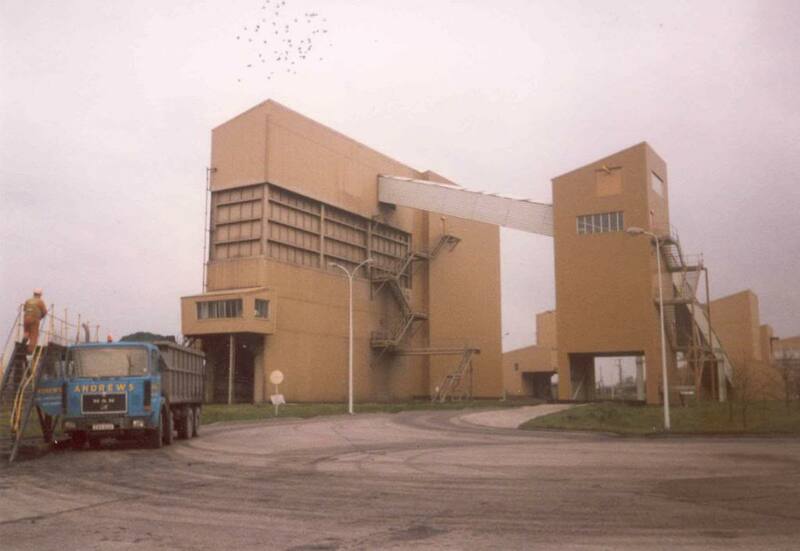 the coal disposal point site was demolished in late 2000 if i remember correctly and is now the home of a large container depot. 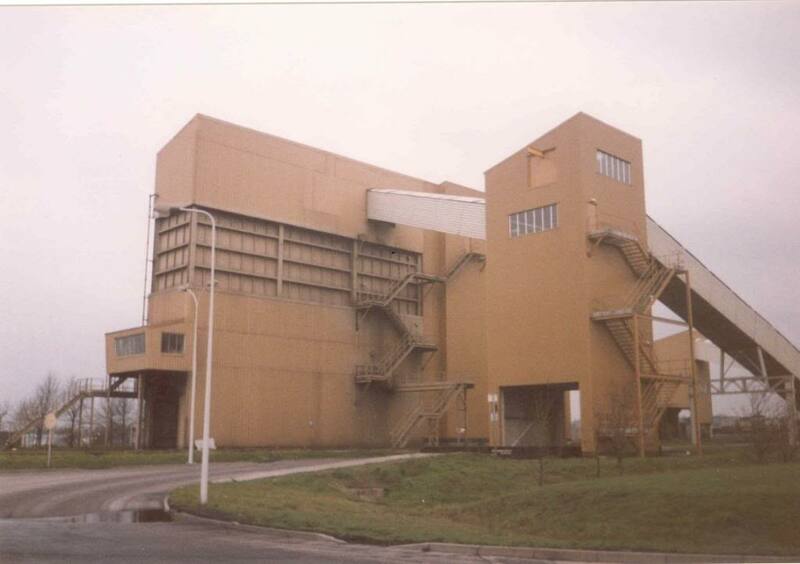 What was once the british coal records office still operates from a small enclave of remaining mine buildings. Just to bookend things here is the other South Staffordshire coal disposal point,Springhill.This could be found on the outskirts of Essington and was used to process coal from the Sneyd and Essington opencast mines before it was moth balled.By the mid 1990s plans were a foot to make use of the site once again to process coal from the Reedswood opencast mine just outside of Walsall.Local residents complained about the increase in traffic and the plans were dropped.So in the summer of 1995 the Coal disposal point was dismantled for export.The weighbridge and office buildings were demolished.The pictures were taken 12/8/95. 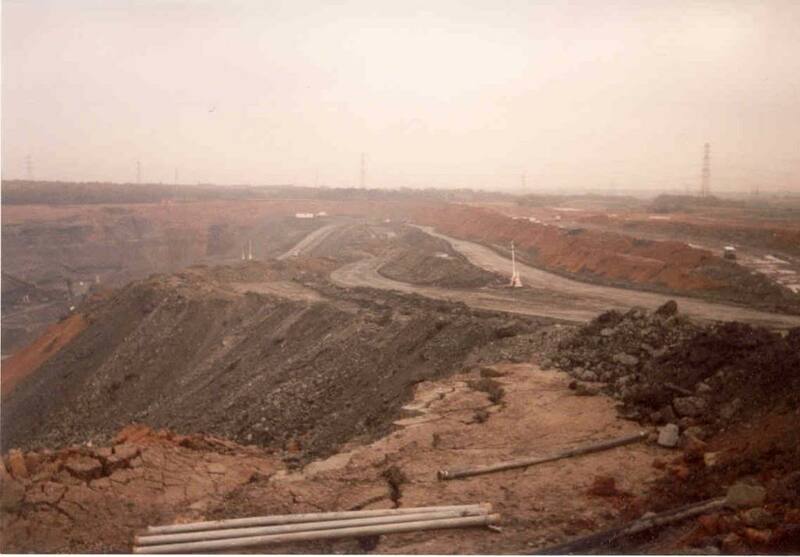 The remains of the link road to the Essington opencast mine.The Main bunker of the disposal point can just be seen above the tree line.The site has returned to farm land.The only relics from the days of British Coal opencast are the remains of the rail siding and a Road sign warning of 'HEAVY PLANT CROSSING'. 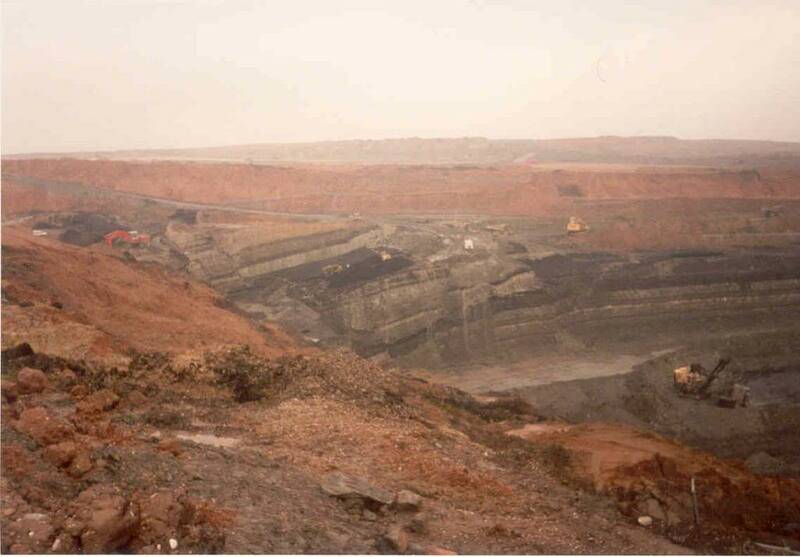 I read with interest your piece on the Springfield Coal Depot (Essington). 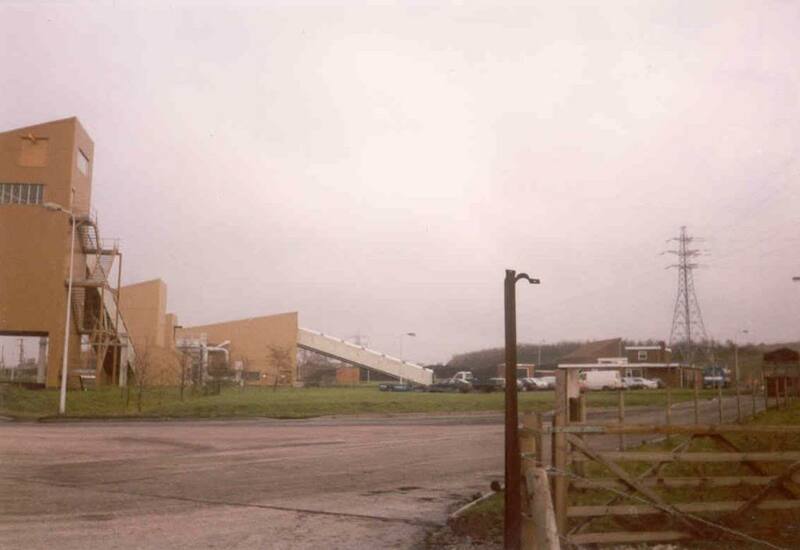 I am an archivist by profession and I write a local history blog (called Wyrleyblog) for the Cannock down to Walsall area - I live in Gt Wyrley, hence the name. 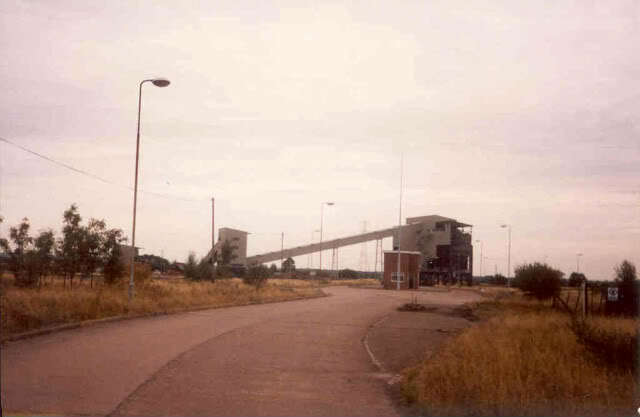 Recently, I have launched 2 of 3 parts to a history of the Springhill area (mainly Springhill House and the Covert, which is the little wood that you see in the one photo of the road to Essington mine) - so please google them. I am currently writing part 3, which, truth be told, was the reason for the articles in the first place. 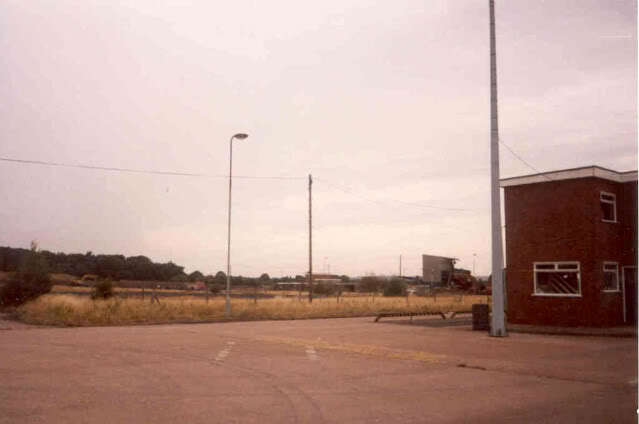 It focuses on the Covert from 1950-1980, because there was actually a naturist camp within the wood (Birches Sun Club). 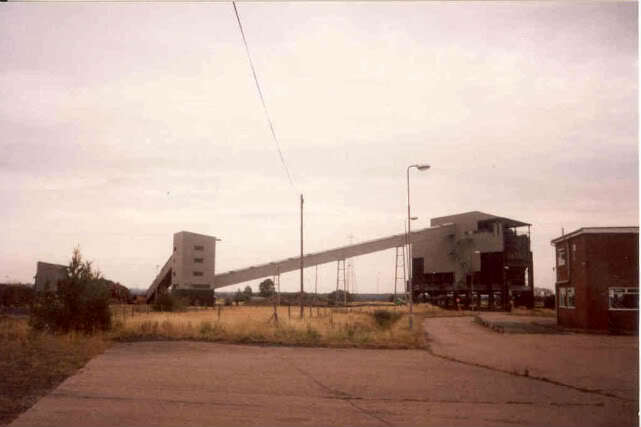 I believe there are a few reasons for the demise of the Club, one of which I am sure is the destroying of the rural idyll by having a coal depot dumped right next to it! Could I ask if you would allow the use of your photographs in the article? 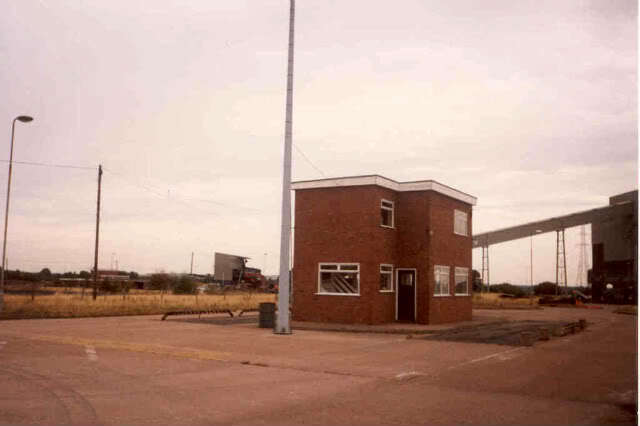 (credit obviously given - and like you, the Blog it is done for the community) and also ask, if you know, if the Depot was built in 1976 like the Staffs one - as then it must have been planned a few years earlier?